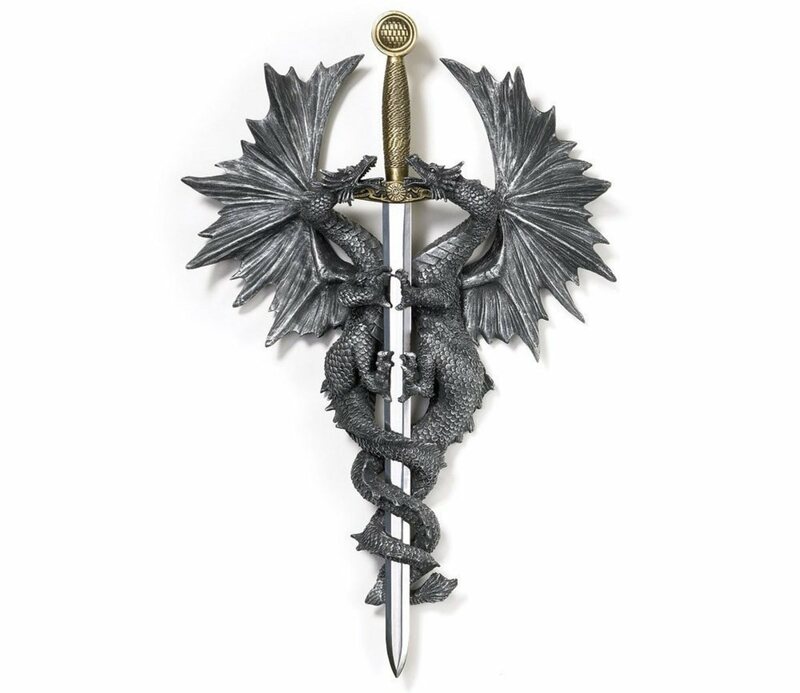 My partner and I are both huge tabletop RPG and LARP fans, and so we are thinking of decorating our new flat in a Dungeons and Dragons theme (it's that or Warhammer 40K, which is significantly harder to find bedroom decor for). DiaNoche Designs duvetWOVPhilipStLordoftheCelesetialDrs2 Duvet Cover Brushed Twill, Twin 8" x 90"
Let's start with some bedding. 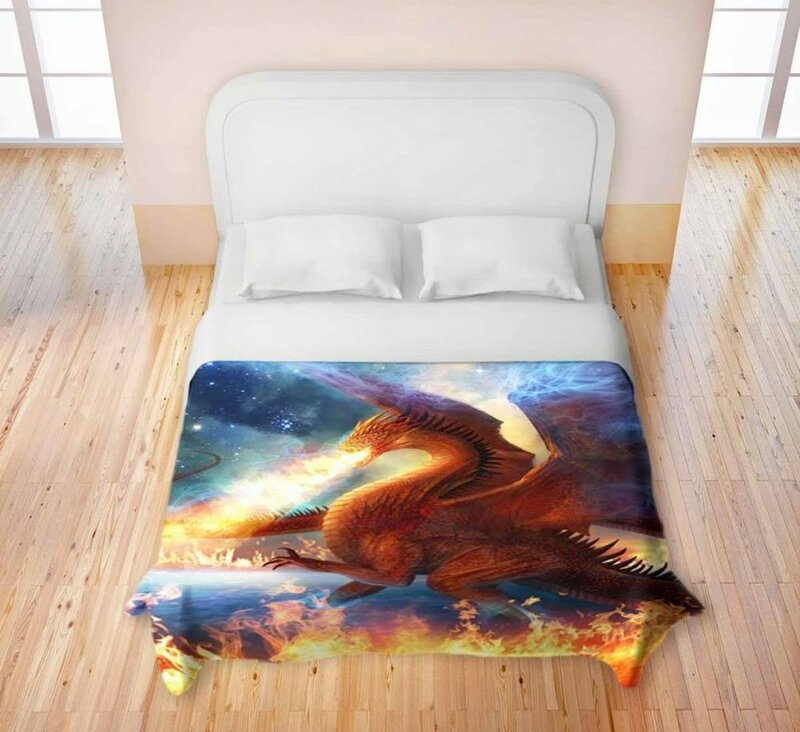 First of all I just have to recommend the Dianoche 'Lord of the Celestial Dragons' bedding above, which I have already bought since it was just too cool to wait! You can get it in two different color schemes, and they are just as vibrant and bold in person as they are in the photo. It features some truly stunning fantasy art that matches the Dungeons and Dragons theme absolutely perfectly. Alternatively, if you want your bedding to blend into the rest of your room design rather than popping out, you can go for some plain, block colored grey or brown bedding that will match the 'dungeon' color scheme of your other decorations. This works especially well if you plan on painting your walls in a 'castle bricks' style (see below). 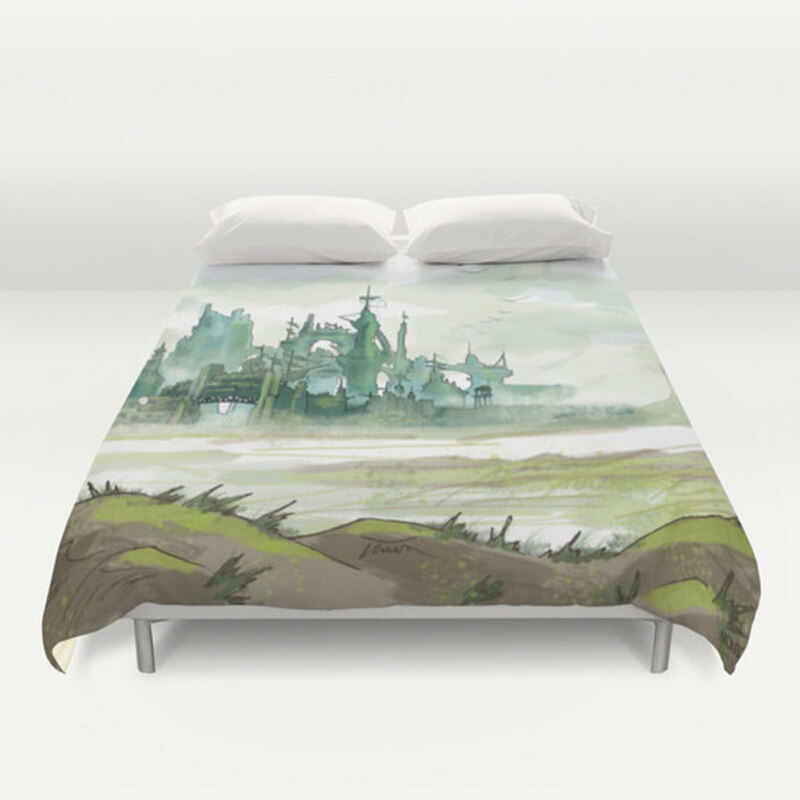 For people who want something a little lighter, kitsch and more fantastical in style, on the right is some truly adorable bedding featuring a watercolor style landscape from Guild Wars 2. It's very lovely, and makes a great Christmas present for roleplayers and video game fans alike. It's also great for those on a budget as it fits in well with normal decor too. 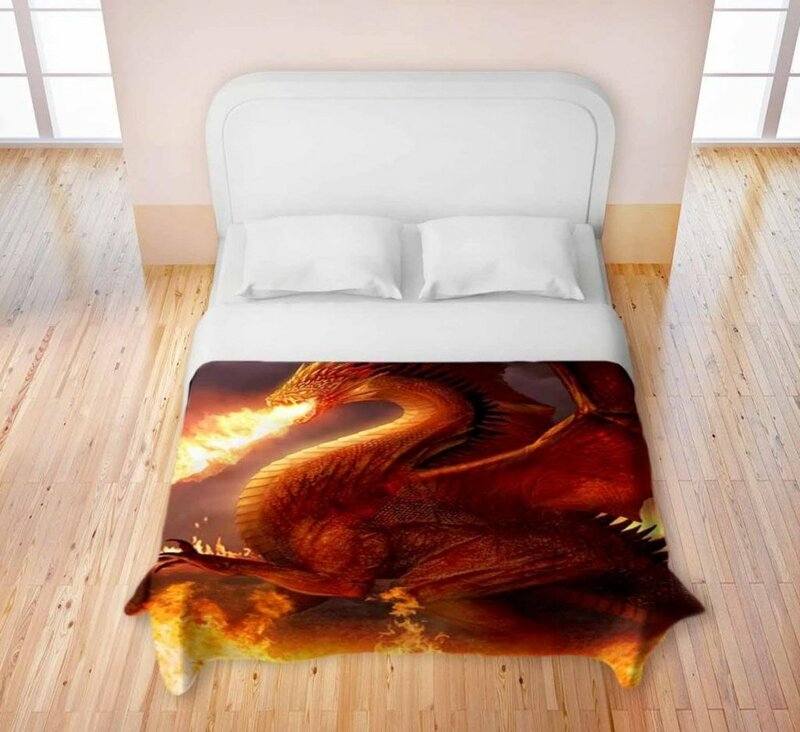 A similar style of bedding by the same designer is available here. 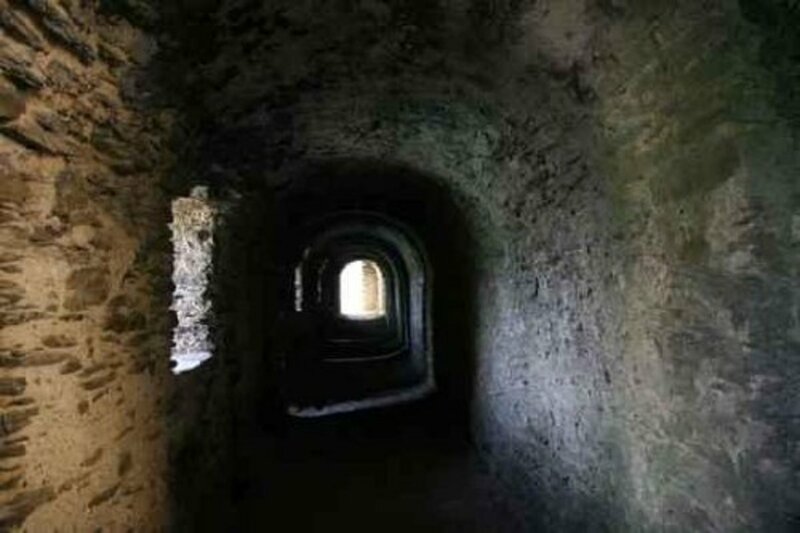 Will You Be Able to Brave These Dungeon Walls? Next, it's time to turn your bedroom walls into some special. There's plenty of fun décor you can use (I'll show you some of my favorites below), but if you seriously want to go all out, here's how. Turn your walls into the stone brick walls of a fantasy castle or dangerous dungeon! The easiest way to do this is by buying a decal such as the 'dungeon corridor' style one above or the castle brick wall one on the right. 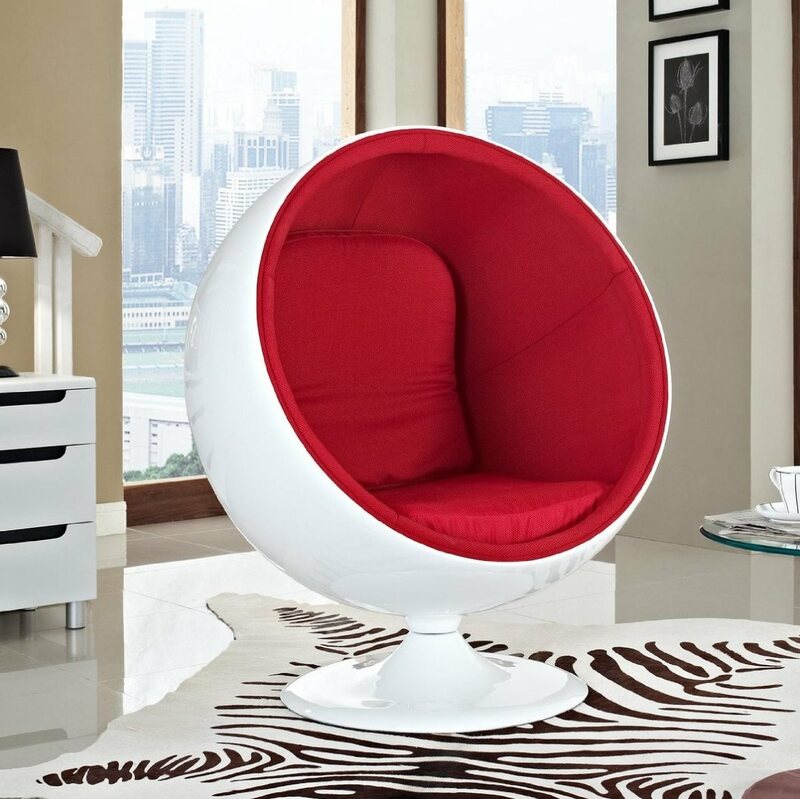 They come in various sizes, so it isn't hard to find one to fit the walls of your room. 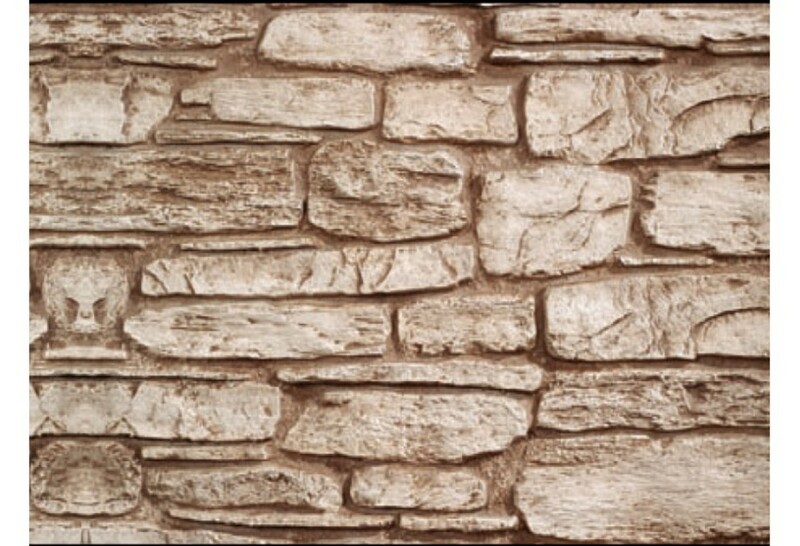 Alternatively, if you want something a little more realistic, BuyFauxStone.com sells these amazing stone art panels that you can install on your walls to get a realistic dungeon feel. They are a little pricey, but if you aren't on a budget, they are well worth the money. If you are decorating on a budget but really like the idea of stone walls for your bedroom, then above and below is not one, but two wonderful tutorials that will teach you how to make fake stone wall panels at home using white foam. Each uses different texture and painting techniques that can be mixed and combined to create a wall that is personalized to your bedroom. Whether you've gone for the brick walls or not, you'll next need some cool décor to cover the walls of your dungeons. 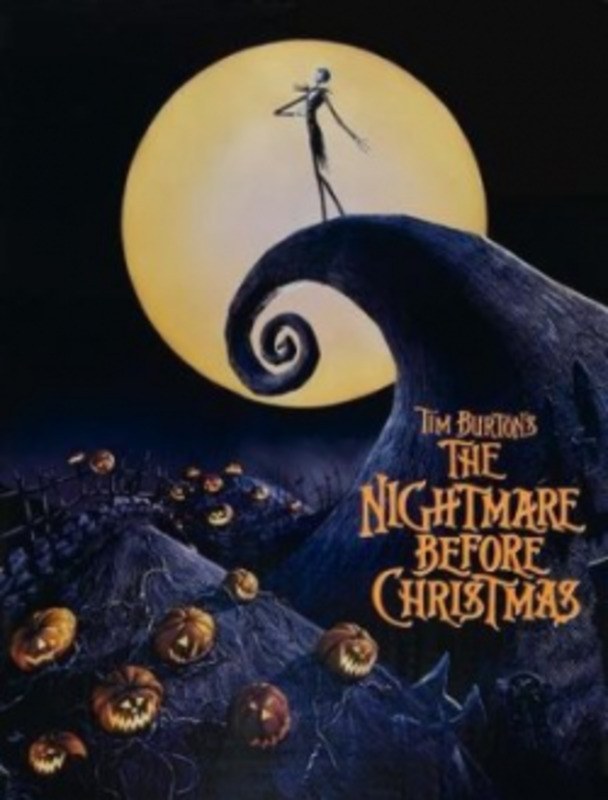 I find it is best to be minimal, but that might be because my walls are already covered in old movie posters and pullouts from Nintendo Power from about a decade ago. Some pieces have really caught my eye, however. For example, there's a wide variety of dragon themed wall plaques like the awesome one above that not only look fantastic, but are surprisingly inexpensive. Etsy is a great place to turn to when you need fellow nerds with crafting skills to populate your bedroom with cool stuff. 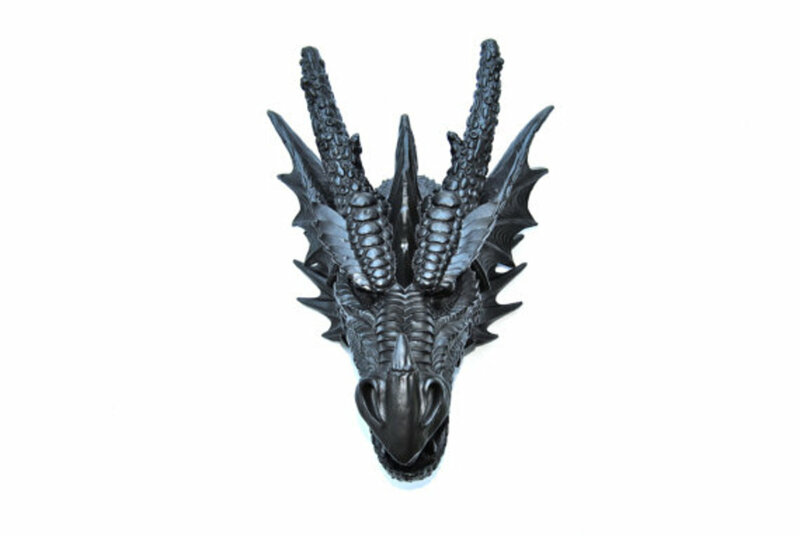 Check out, for example, the awesome Black Dragon Head Wall Mount by Near and Deer, which is perfect for everyone who wants to trick their younger sibling into thinking they have actually killed a dragon and mounted its head on the wall. What? I'm a hero! 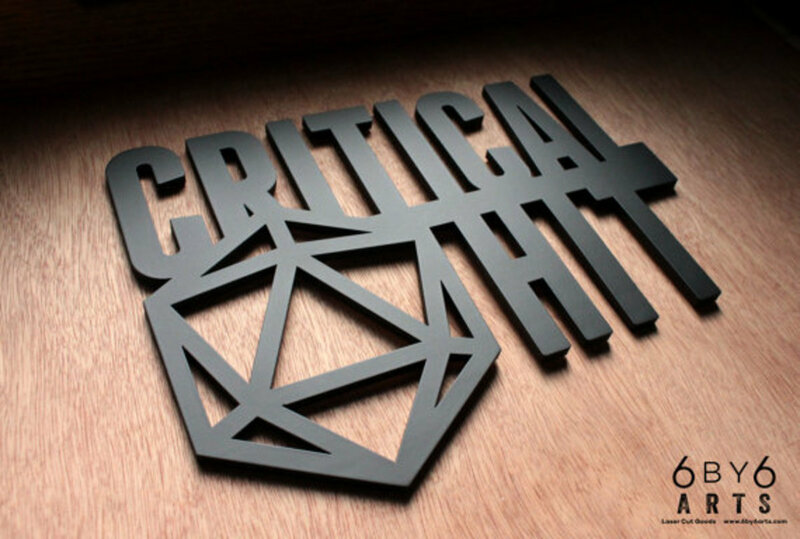 Ensure that your room is perpetually blessed by the Dice Gods and safe from the Botch-Demon with a sweet and sleek lazer-cut lucky Critical Hit wall sign like the one above. It's available for a great price, and who says money can't buy luck? These kinds of laser cut wood signs and wall plaques come in many different styles, so browse the whole of Etsy and find one that is perfect for your bedroom. Here's where things get really awesome if you have a bit of money to spend. 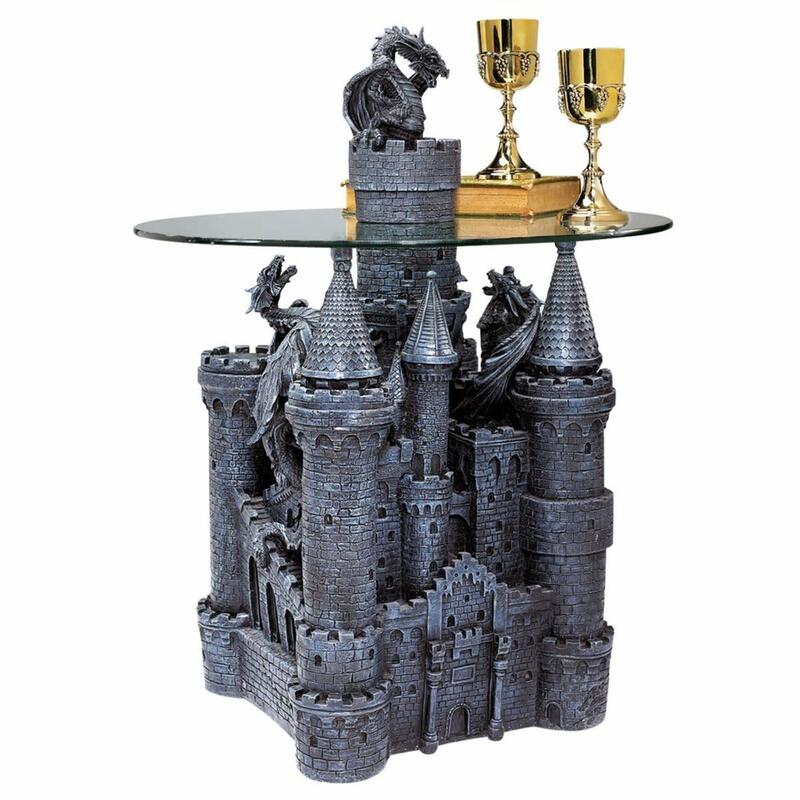 Yep, that is in fact a full ornate dragon and castle end table. It's amazing, isn't is? 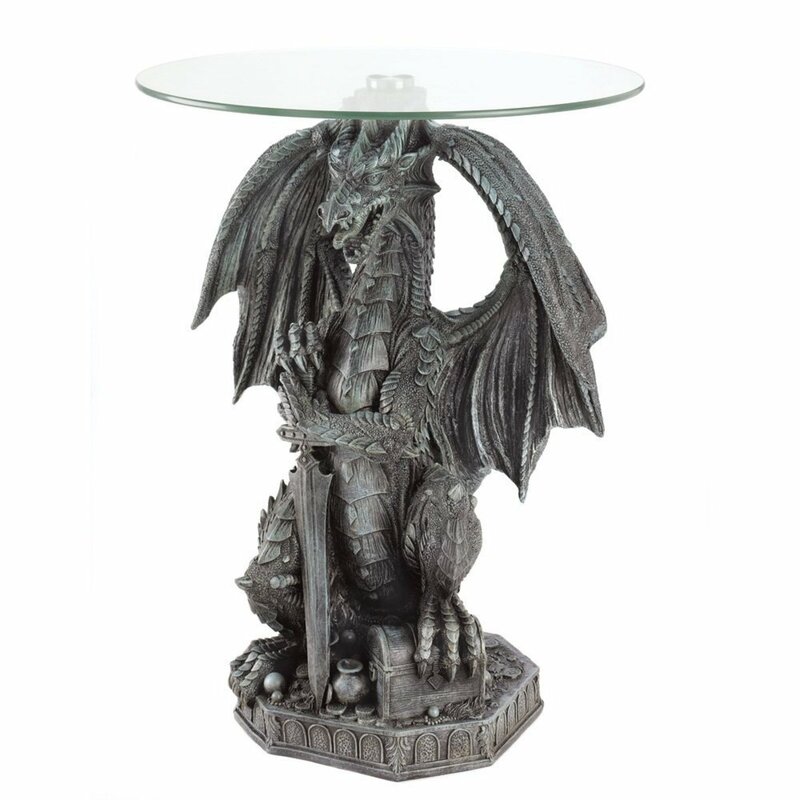 You can get a number of these end tables in various different styles, mainly dragons of various kinds in various poses, so I recommend you browse them all to find your favorite. As well as being a functional place to store your books and the like, a shelf can make a great decorative piece if you load it up with the sort of loot players would be looking to find on a dungeon shelf. A lot of shelf props can be made at home for little cost, such as the beautiful dragon scale eye jar in the tutorial above. It looks fantastic, plus it's useful for storing bits and bobs inside. Another dragon themed piece of shelf décor is a cool dragon egg in the style of Daenerys Targaryen's eggs from Game of Thrones - here's a fun tutorial for making one. There ain't no party like a D&D party, because a D&D party don't stop until the healer is dead and everyone else is out of potions. Don't let it happen to you! This is one I'm definitely going to have: some DIY potion bottle props. These work well in a number of bedroom themes actually, from Fantasy, to RPG to Harry Potter and other magical settings, so if you ever feel like changing your theme up a bit, they have a lot of reuse value. Next up, let's shine some light on the mysteries that lie within the heart of your bedroom with some themed lighting. Here's some more dungeon monsters! 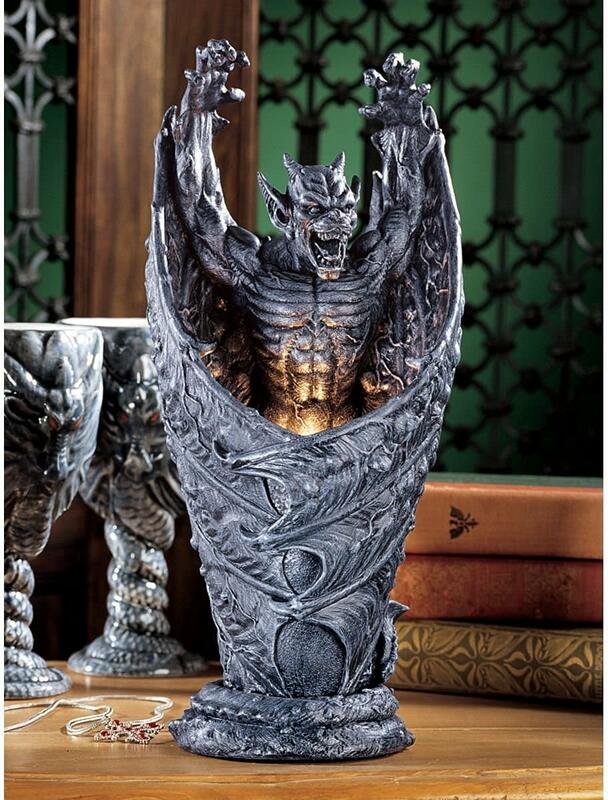 If you've gone for a grey stone brick style for the wall, chose some of the Toscano furniture or otherwise have lots of grays, blacks and Gothic style architecture and colors in your room, this spooky gargoyle lamp would look perfect. The makers of this lamp make a number of similar lamps representing all kinds of dungeon monsters, so be sure to check them all out before you make your choice. 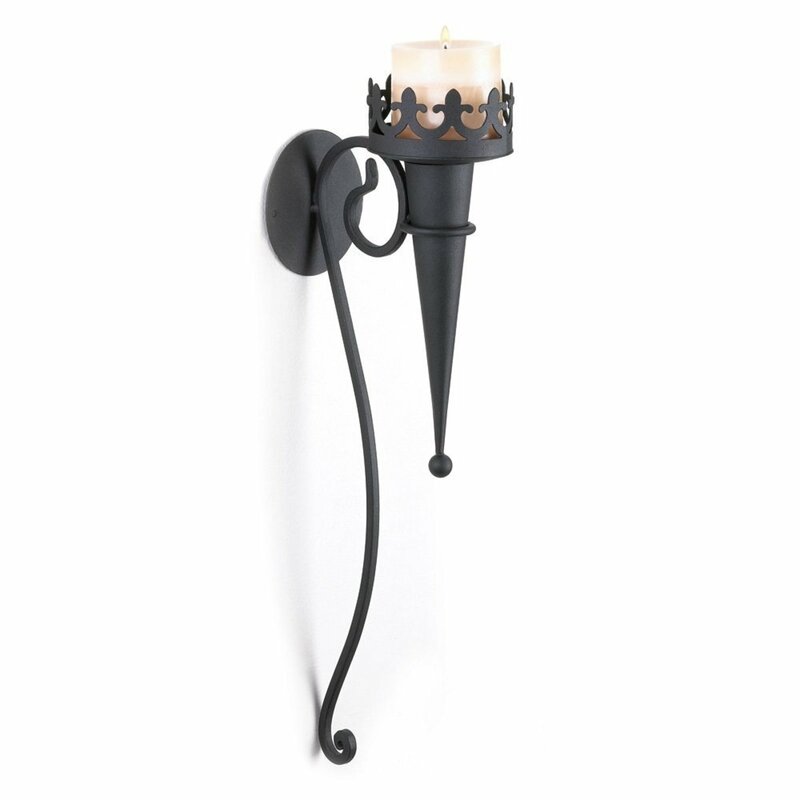 Candles and braziers are of course the most authentic dungeon lighting, so having some wall sconces to light of your bedroom will look fantastic. I definitely recommend them if you are planning to host RPGs in your room - candles make wonderful mood lighting, and seriously enhance immersion. If you don't want any possible fire hazard in your bedroom, there are some flameless LED candles out there that look pretty realistic. These make a great substitute. As for things to hold them, check out the cool gothic style wall sconce candle holder above, straight out of every dungeon from your nightmares. If you are a dab hand at arts and crafts and have a bit of spare time on your hands, you can also make your own candle-holders to hold your candles. Bear in mind that if you are going for real flame candles you need to make sure that the base doesn't wobble. Above is a tutorial that I think can be easily modified to fit the D&D theme. 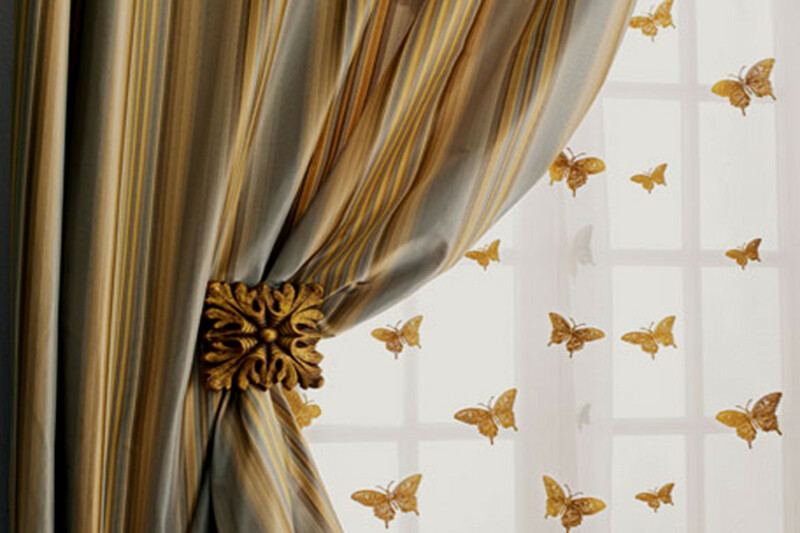 Just replace the roses with chain link, dragon scale material or another suitable pattern. The brassy and glittery colors can stay the same! 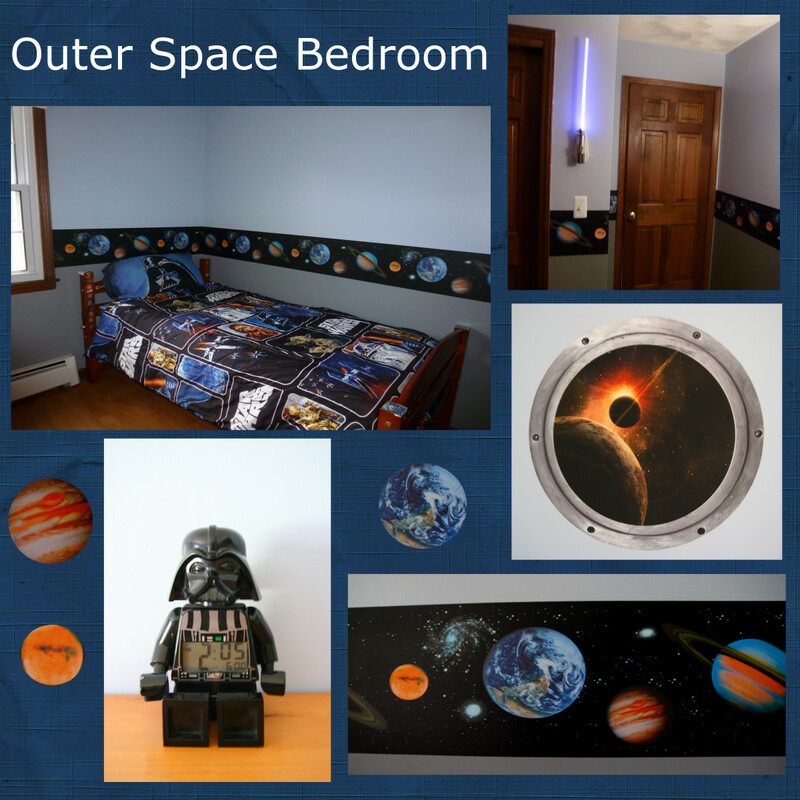 Finally, it's time to add the finishing touches with some nerdy accessories to personalize the room to your tastes. You probably already have lots of Dungeons and Dragons memorabilia and books lying about, so this part should be fairly easy for you. 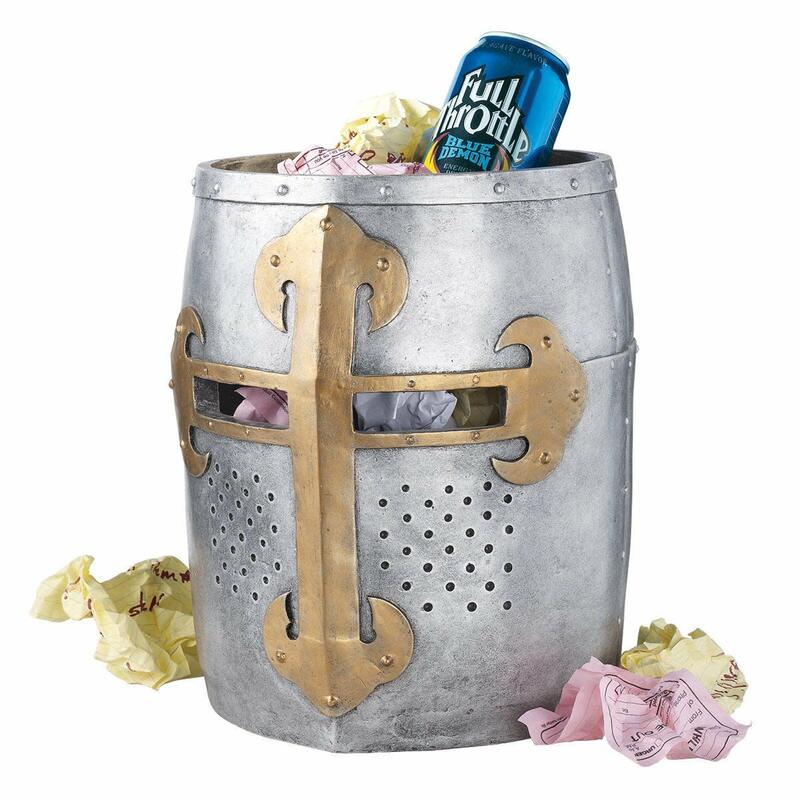 Nevertheless, I've found a pretty cool wastebasket which I thought I would show you (since I certainly didn't think you could get waste baskets that matched this theme before I started research), and recommend some tutorials for DIY bedroom accessories for those of you who like to get crafty. Here's a fun idea to cover the empty spaces in your bedroom - skulls! You can even have a big pile of them in the corner to warn would-be adventurers. This is quite a challenging piece of DIY as you will need to have some tools on hand that you wouldn't normally have lying around the house, but once you have them you can make a near infinite amount of these beauties. Well, as many as you have spare milk jug bottles lying around the house at least. Another cool piece of décor is some scrolls - what is really fun about these isn't just the scrolls themselves but the sorts of things you can put on them. I plan on making some props for my next RPG using this tutorial, and they will double as décor when I am done with them. So those are my personal favorite Dungeons and Dragons and fantasy themed bedroom decorations that I came across in my travels. 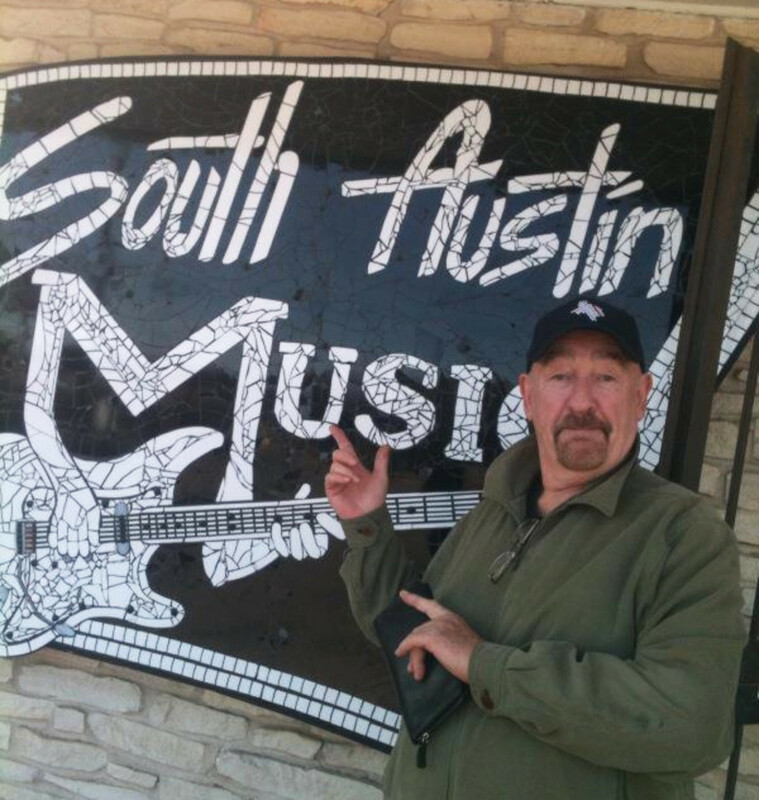 I hope you found a few ideas that you like and have a lot of fun redecorating! If you enjoyed this page and would like to see more, be sure to check out many more bedroom redecorating ideas at my blog at Bedroom Decor Ideas and Designs. See you around!